In Mali’s case, after two consecutive AFCON 3rd place finishes, you’d assume that 2015 would represent a coming zenith for a generation who’ve flirted with ultimate victory at recent tournaments. However, that couldn’t be further from their current reality. On closer inspection, there are signs that decline and stagnation is setting in. Just look at their qualification journey, which included loses against Malawi and Ethiopia. For Cameroon, one word represents 2015 and that is ‘redemption’. Nothing more, nothing less. Following the shambles that was Brazil 2014, Cameroon have everything to prove. AFCON represents a rebirth of sorts, a chance to exorcise the ghost of Samuel Eto’o which arguably hung over the Indomitable Lions for far too long. Qualification was fairly straightforward for Cameroon, emerging undefeated after 6 games, a goal difference of +8 and with a memorable 4-1 victory over Ivory Coast. What’s now apparent is that Volker Finke used qualifying as means of accelerating the emergence of new core of players. Vincent Aboubakar and Choupo-Moting will spearhead the attacking threat, with Nicolas N’Koulou marshalling the back the line. Clinton N’Jie of Lyon is an exciting prospect, despite only having 7 caps he’s already netted three goals and was invaluable in qualifying. Concerns still remain in midfield, and despite an adoption of more fluid, attacking 4-2-3-1, many will bemoan the seeming lack of creativity in centre midfield, especially when facing opponents willing to sit deep and absorb pressure. For Mali, they’ll approach this match, much like they have in the past – disrupt the opposition, sit deep and avoid conceding. Coach Henry Kaperczak has quite the AFCON pedigree and he’s an expert at getting the most out of limited resources, a philosophy which runs throughout this Mali side. 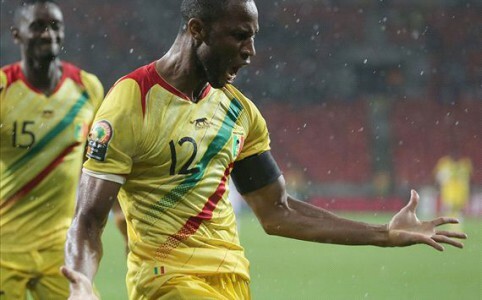 Seydou Keita will once again be at the centre of everything Mali produce, operating in slightly more advanced role than what he’s known for a club level. Mali are likely to stick to a tried and tested 4-5-1, yet there’s still an element of intrigue in their forward line. The emergence of a young, prolific Abdoulay Diaby provides them a fascinating option from the bench. Whether or not his introduction runs counter to the safety first approach of Kasperczak remains to be seen. However, what they lack for in freshness Mali make up for in terms of continuity. The core of Adama Tamboura, Drissa Diakite, Keita and Modibo Maiga is formidable and should be particularly hard to break down. The contrasting approaches of Mali and Cameroon could be seen as polar opposites. Cameroon have both a coach and group of players eager to use this game as a point from which they can build momentum, momentum which comes to a victorious end on February 8th in the final in Bata. Mali will attempt to grind out a result, absorb the pressure exerted by Cameroon’s front line and steal a point. Their overall focus will be on avoiding defeat to both Cameroon and Ivory Coast, and then ensuring maximum points against Guinea. Cynical? Anti-football? Perhaps, Kasperczak may probably say it’s the most intelligent approach considering the resources available to him. This clash of mentalities will ensure the game’s destiny is likely to be decided early on, and by whichever team can settle into their natural rhythm first.